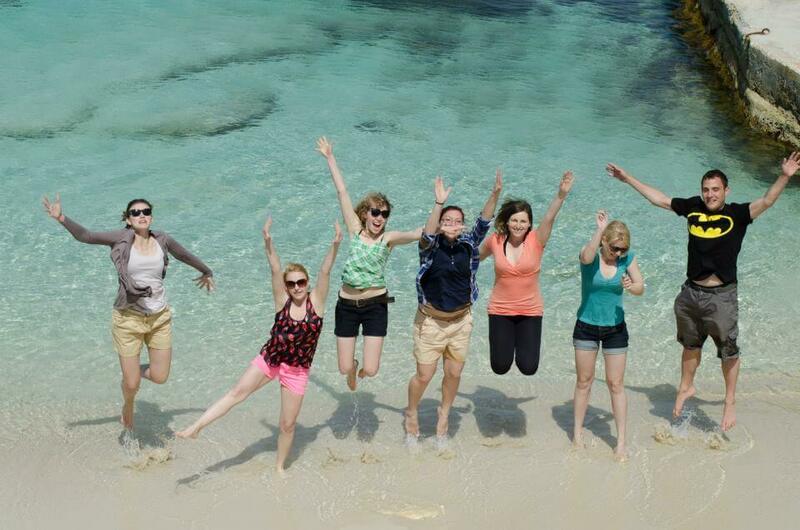 Complete your internship in Malta while you enjoy the sunshine and make lots of international friends! An Internship in Malta where English is one of the two official languages, will give you the opportunity to practice your English in a country where you can enjoy great sunny weather, Malta’s beaches and the many historical sites. An internship can be your first step towards your future career giving motivation to further your studies. It will give you the insight to put theory into practice. You may have the choice between completing an internship in your own country or going abroad. The experience of course will be quite different. Why go on an internship abroad? Interning abroad gives you the extra benefit of teaching you how to adapt to different conditions and situations away from home. It opens your mind to different cultures and ways of doing things. It builds up your personality and will definitely look great on your résumé. International organisations want graduates with experience of living or working abroad. Your experience abroad will surely give you an edge when applying for a job! An internship in Malta will help you practice and perfect your English and of course can be lots of fun! Students often say it was the best time of their lives. You should try to visit as many places as you can while you are in Malta, students always say that an internship abroad is one of the best time of their lives! An adventure where you make lots of new life lasting friendships from around the world sharing your experience of an internship abroad. Most students who completed a traineeship abroad felt more confident and convinced of their abilities as a result of Erasmus. Studying abroad will have lifelong benefits in your personal and professional life. There’s nothing like standing on your own two feet to improve your confidence and personal development. When searching for an internship you can either contact an agency who will find a work placement for you against a fee or you can search for something yourself and avoid the extra cost. You can ask your teacher for a list of companies where previous students have interned. Consult the yellow pages of Malta or use the internet to conduct a search. Have a look at the vacancies on the Times of Malta. Contact an employment Agency in Malta, they sometimes have intern vacancies too. Many hotels also offer unpaid jobs in various departments such as Marketing, reception, food and beverage etc. Language schools may also have vacancies for summer jobs. Just run a search for hotels in Malta or English language schools in Malta and you can contact them directly. There are usually vacancies during the peak summer months. Write a good CV giving all the info about your studies and experiences and a covering letter explaining why you think an internship with the company will be beneficial to you and what you can offer to the company. You can find a CV template online to help you format a smart and professional looking CV. If you don’t receive a reply, follow it up with a phone call to ask if your e-mail and CV have been received and if they could offer you a work placement. For those interested in coming to the University of Malta on an Erasmus exchange, find out how you can enrol yourself. And the good news is that Erasmus+ is increasing their funds for the year 2018. Apply through your school or University to benefit from funding for your internship abroad. Renting a Room or Apartment for your internship stay in Malta. Our previous guests will confirm that when looking for accommodation for a month or two, accommodation with other students and even a host family is preferable to living all alone in a flat. Shared accommodation will help you settle in faster, you will always have someone around to answer all the queries you have. It’s also great to make friends fast and have a friend to go out with on your days off. Renting a room in a homestay either on self-catering basis or half board basis is ideal. Rates are reasonable and you have the choice of board basis. For students who want to be independent the self-catering option is suitable. It is like renting a room or bed in a flatshare with the extra benefit of dealing directly with the owner and having someone local to ask about anything you may have difficulty with. We are always around to answer your queries but if you’d rather be left alone we are downstairs so we don’t intrude on each other’s privacy. You will get a key and be able to come and go as you please if you are over 18. Students who don’t feel like doing any cooking can join us for dinner from Monday to Friday. For these students the half board basis option is perfect. Bed linen and towels are provided and you can also give us your laundry for washing free of charge. We try to make your stay as carefree as possible. If you’d still rather be living totally on your own, our one bedroom apartment called Vista apartment could be the option for you. ← Cheap flights to Malta and special discounts for students.